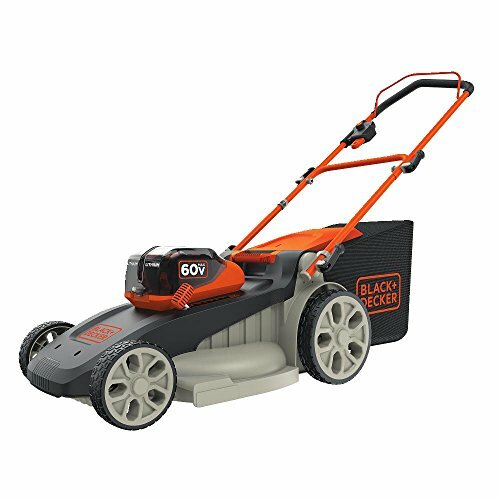 The black+decker CM2060C 60V Max powerswap 20″ mower features powerswap, which lets you quickly swap batteries with the push of a button. It also features autosense technology which conserves battery power when possible to give you extended runtime. 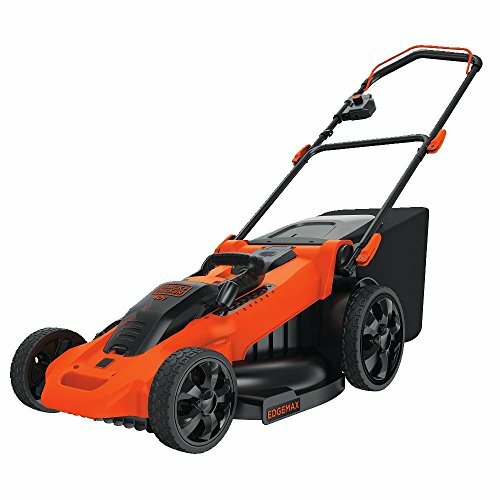 This unit includes two 2.5 ah – 60V Max lithium batteries to give you twice the run timeper re-charge. 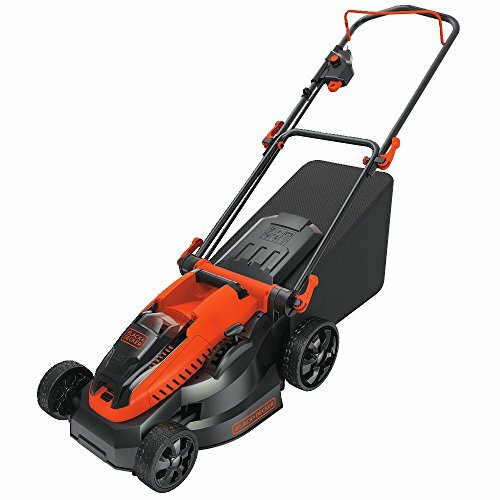 With an easy-to-use six-setting height adjustment from 1 1/3 in.Up to 4 in. 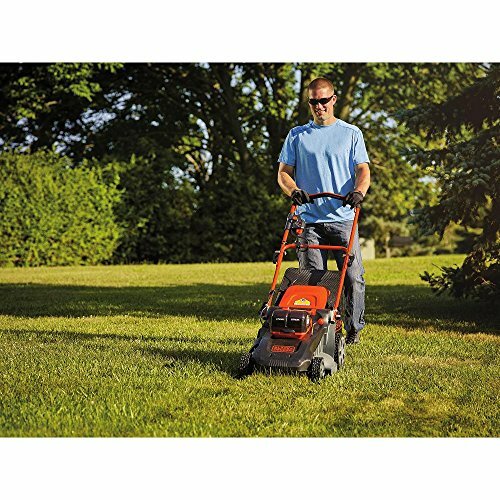 You are able to easily control how high or low you cut. 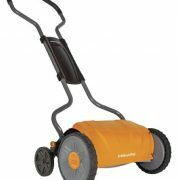 The 3-in-1 configuration lets you mulch clippings, bag them or discharge out the side. 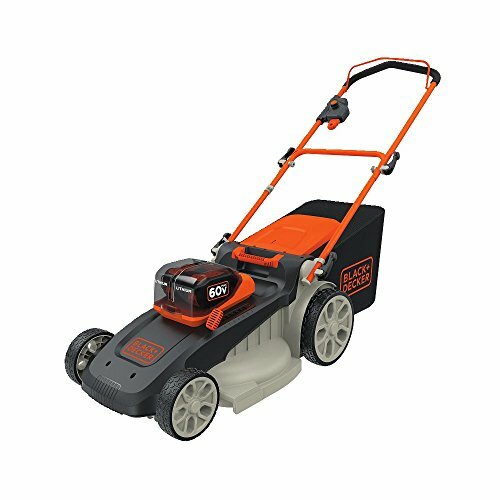 This unit also features a state of charge indicator which shows remaining battery power at all times, along with a handle that easily folds for compact storage. 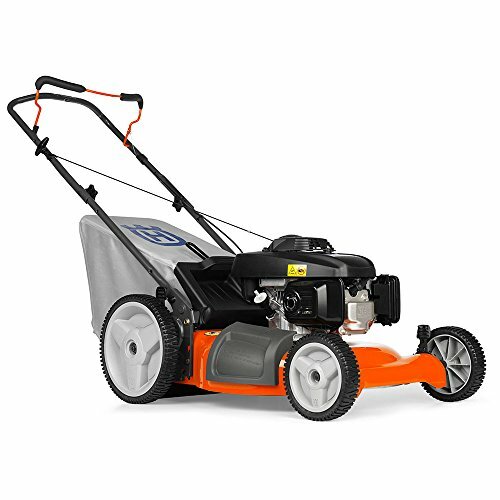 Specs: 20″ cutting swath, cutting heights 1-1/3″ to 4″, ideal for propertiesup to 1/3 acre. 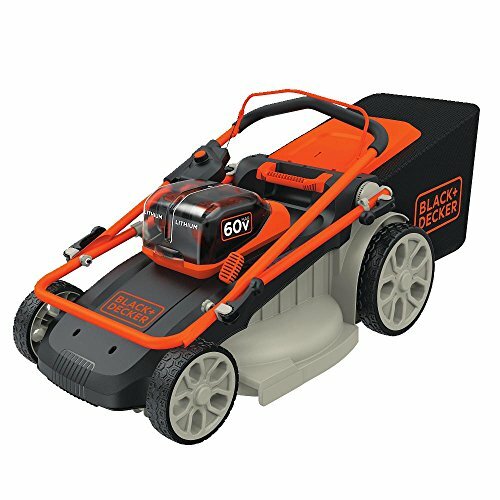 MAXIMUM Initial battery voltage (measured without a workload) is 60V – nominal voltage is 54V. 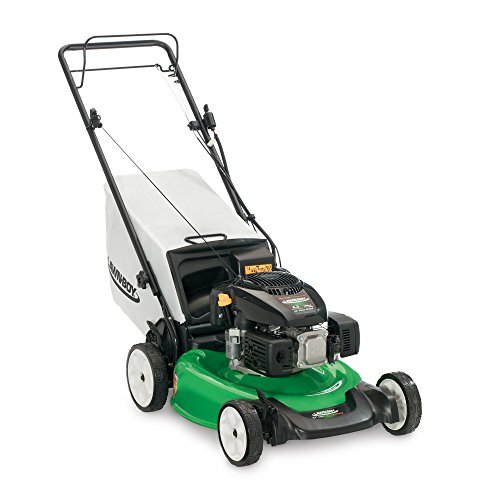 Includes: 1) Cm2060 mower, 2) LBX2560 60V Max lithium ion batteries, 1) charger.